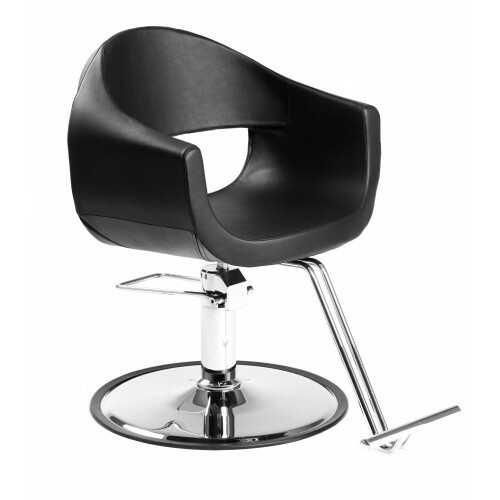 AYC TD6969-A12 MILLA Styling Chair: With durable hydraulic base, has a very stylish appearance. Sleek design with curved seat and arms. Black soft PVC vinyl for easy maintenance and comfort.